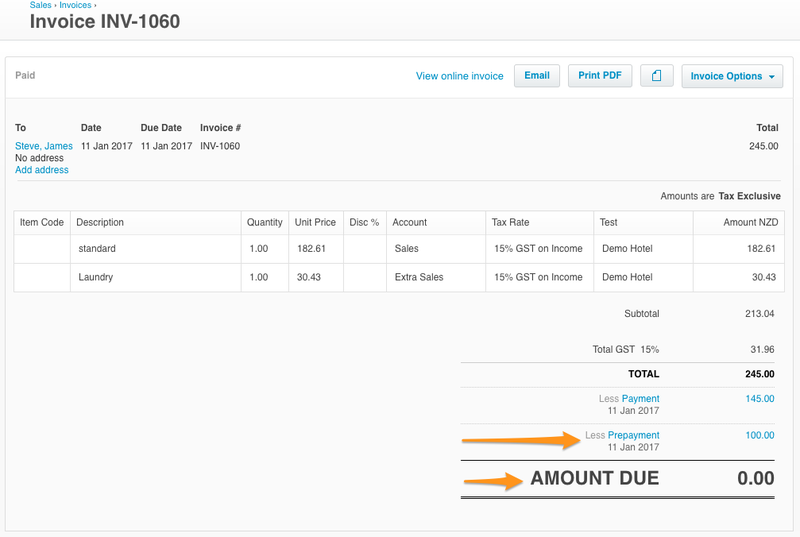 When you record a deposit in Preno, a prepayment is created in Xero. This prepayment has information about the guest & the amount of the booking, and has a credit note attached to it. Create an invoice with the guest's reservation information (accommodation & extras). Apply prepayments to the booking. Create and apply payments to the booking. Change the state of the booking to 'Checked out'. The end result of this is for the booking to to show $0.00 remaining. NOTE: If you charged your guest by using the payment gateway integration, get in touch with our support team. We need to manually void the payment for you, as your guest has still been charged. You'll need to void the prepayment in Preno, and then add it again. Under the Charges & Payments section of the booking page, click on the transaction you'd like to void. If the transaction is a credit card charge OR if a refund has been applied please contact the Preno team. 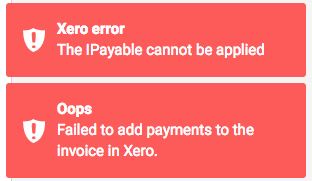 A red error message will appear, informing you that Preno was unable to void the prepayment in Xero. In this situation, you can close the error. Now you can click Done and create the payment for the deposit again. Once you have created the additional charge, you can now click Check out and the final invoice will be completed.